The Department of Biomedical Sciences, led by Dr. Paul Dechow, Regents Professor and Chair, is a major locus for basic science and translational research at Texas A&M University Baylor College of Dentistry. Departmental faculty interests range widely within a central research focus on craniofacial biology. 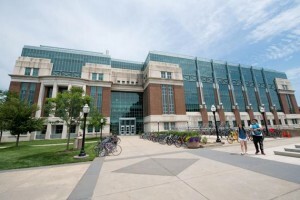 These research interests include regulation of feeding behavior, the role of dendritic cells in cancer, the genetics of caries-causing bacteria, the genetics of tooth development, developmental biology of corneal epithelium, sutures, palate, and temporomandibular joint, mechanics of bone, and analysis of craniofacial growth in mutant and transgenic animal models. Exciting new areas of research include identifying the genes involved in the development of craniofacial structures, and tissue engineering and regeneration. This event is always well attended by the faculty and research staff.